The world-champion freestyle skateboarder and the man who brought the ollie - the trick that revolutionised the sport by taking it from the ground to the air - to street skating shares the history of skateboarding, as he tells the dramatic story of his life. At the age of 13, Rodney took the freestyle skating world by storm. He won 35 world titles in less than five years. 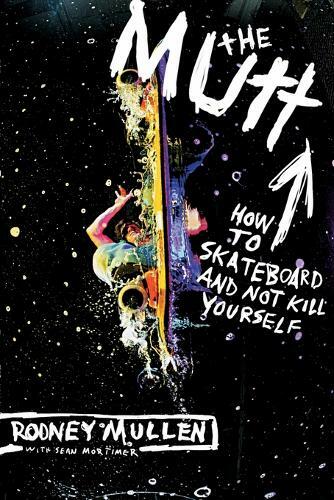 But through it all, his father looked down on his son's love for skating and pressured him to walk away from the sport and leave behind his fans and status as the most famous skateboarder of his era. After years of stress and conflict, Rodney gave in and promised his father he'd quit for good. But by the time he finally broke free from his suffocating and abusive home life, the popularity of freestyle had waned and given way to vert and street styles. So Rodney picked up his board and started from scratch. With the help of mentor Mike Ternansky, Rodney used his freestyle background to usher in a whole new era of street skating. Today Rodney is more popular than ever. The videos in his series Rodney Versus Daewon are among the most popular skateboard videos ever produced. He won the 2002 Transworld Skateboarding readers' choice award for favourite street skater and is the most popular character on the top-selling Tony Hawk's Pro Skater video games.